I started the day with huevos a la mexicana. 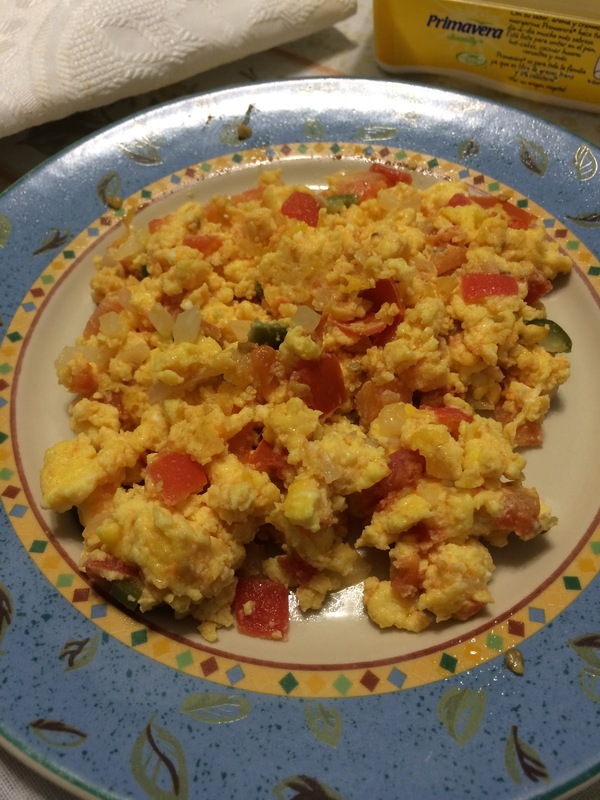 These are scrambled eggs with tomato (jitomate in Mexican Spanish), onion and chopped chiles. We also had fruit again, toast and coffee. I just can’t get enough of the papaya and mango. It is out of this world! For lunch, I had a packed lunch of a banana, an apple and a ham and cheese sandwich. Nothing to write home about there! The best part of the day was an unplanned stop at Restaurante Fonda Güera where I finally got to have my mole poblano again! 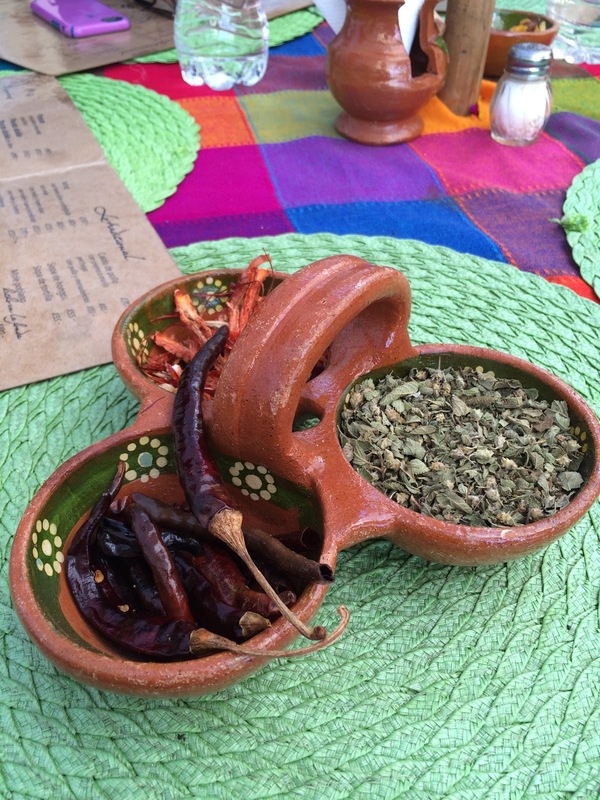 It was in Cuernavaca in 1991 when I first tasted mole poblano and I have been on a mission to get back here again to the same spot (different restaurant) to experience it once again. It DID NOT DISAPPOINT! The closest thing to mole that I can think of is Skyline chili without the meat and with a bit of added sweetness. It contains chocolate, peanuts, raisins, sesame seeds, chiles and cinnamon. It is smooth gravy-like texture and is served with a protein like chicken. Usually it is served with fresh tortillas and rice. It was worth the wait! There is nothing like it in Cincinnati. Cazadores does serve mole poblano and it is good, but this was outstanding today. 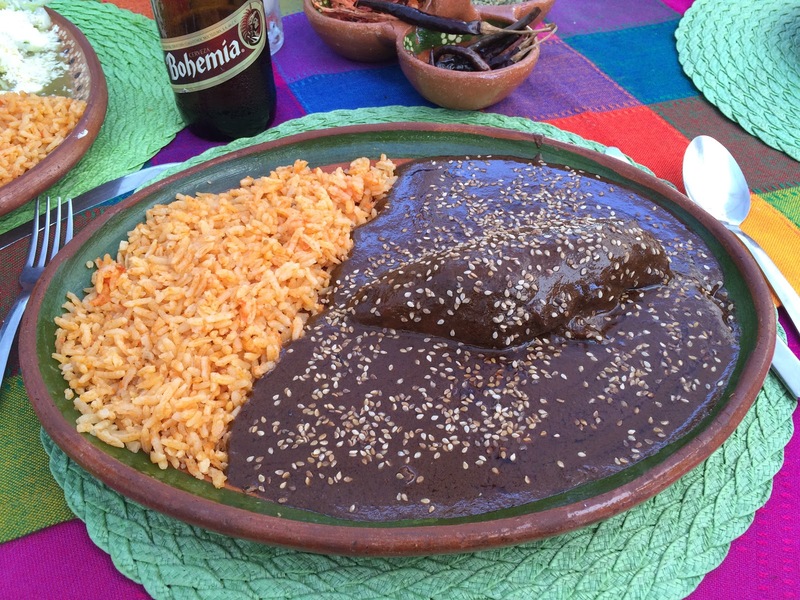 A full plate of mole with a beer was about $13.00 USD (tip included). Not too bad. 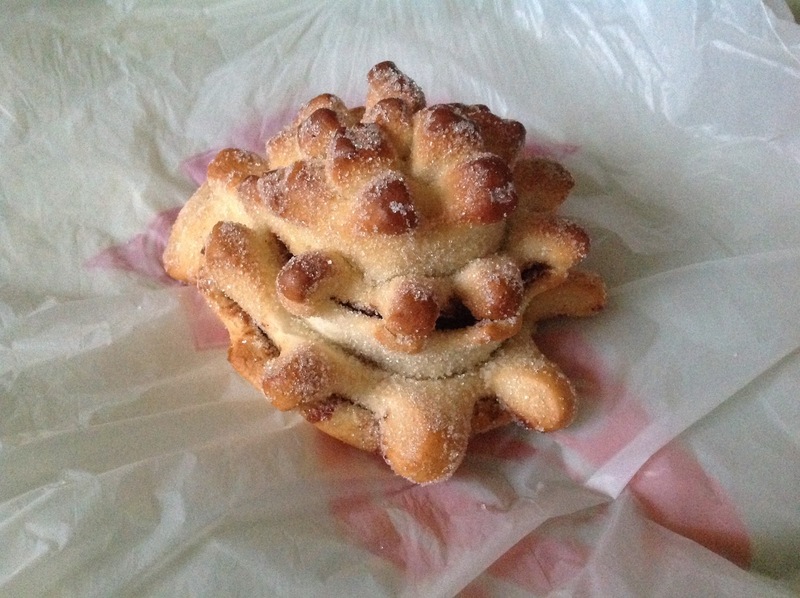 I stopped at the grocery on my walk home and picked up a bottle of water, a bottle of soda and a pastry. 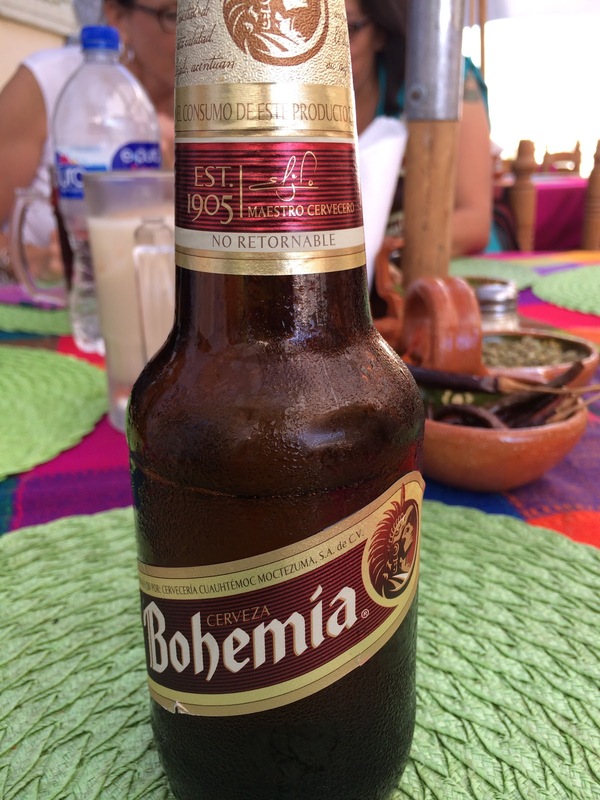 The total cost was MXN $18 or a little more than $1.00. That might not mean much to anyone, but since my husband regularly purchases 20 oz bottles of soda for at least $1.59 per bottle, the fact that I could get two bottles and a pastry for about a buck was pretty cool!